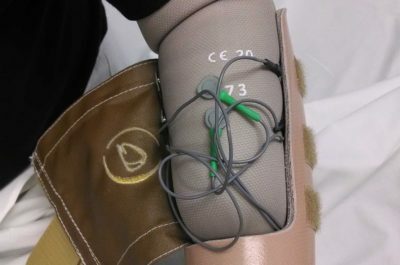 The CJ Socket introduces a novel departure from conventional rigid or semi-rigid solid sockets that allows the patient to maintain a precise fit. 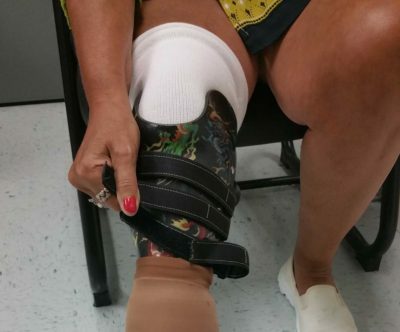 The CJ Socket introduces a novel departure from conventional rigid or semi-rigid solid sockets that allows the patient to maintain a precise fit. . The rigid J-shaped socket covers 50% of the residual limb providing support only where it’s needed. Half the weight, half the heat, half the hassle. 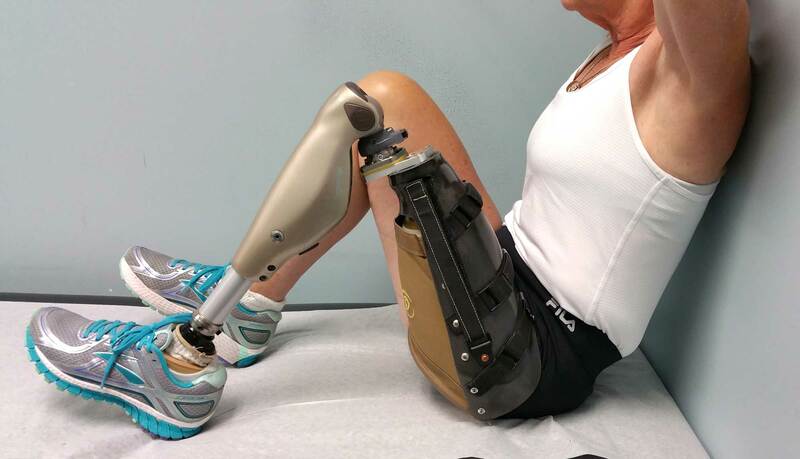 The Sail holds the rest of the residual limb and allows the socket to take various shapes for sitting or standing providing unprecedented comfort. 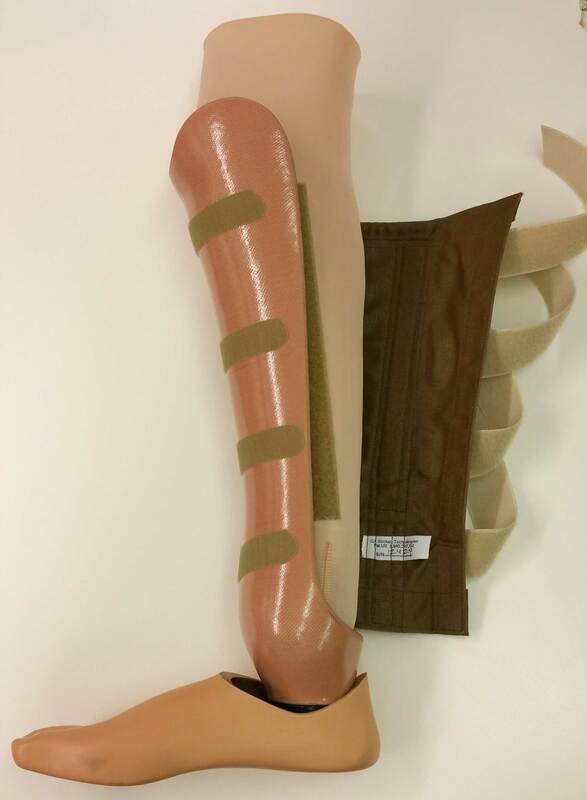 The Closure allows the patient to easily adjust the socket to accommodate residual limb volume changes and ensure a precise volumetric fit. 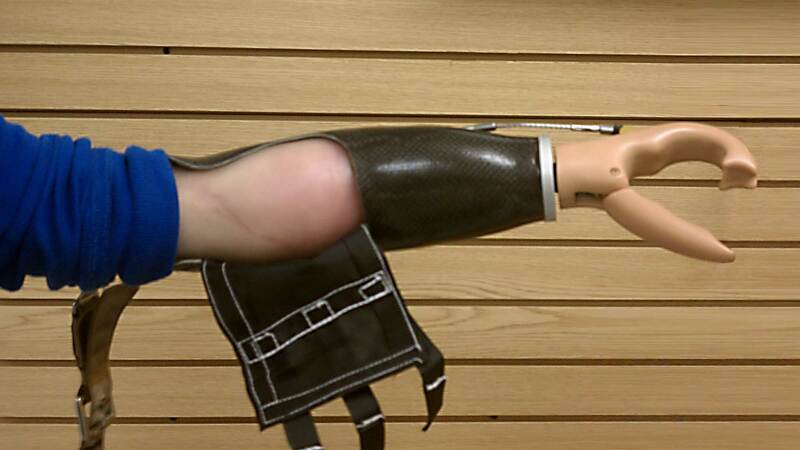 Do You Have A Prosthetic Issue We Can Help With? 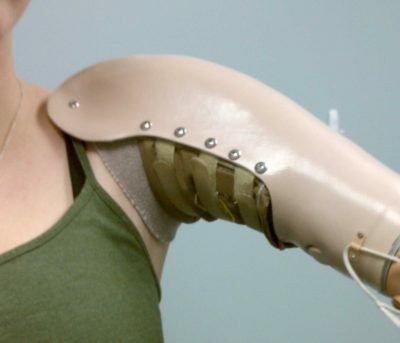 For any prosthesis to be successful, the patient has to want to wear it! The vast majority of prosthetic socket issues and failures can be attributed to residual limb volume change (RLVC) and the socket’s rigidity. The CJ Socket was designed to accommodate changes in limb size and volume and allows the patient to easily adjust the socket thereby maintaining a precise volumetric fit and avoid issues with weight bearing and skeletal control. The CJ Socket also dramatically improves comfort, and by extension, the patient’s overall success.